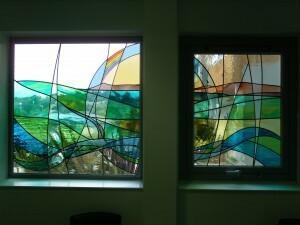 The image left shows a new window recently installed in the new Prayer Room at the Northern General Hospital in Sheffield. 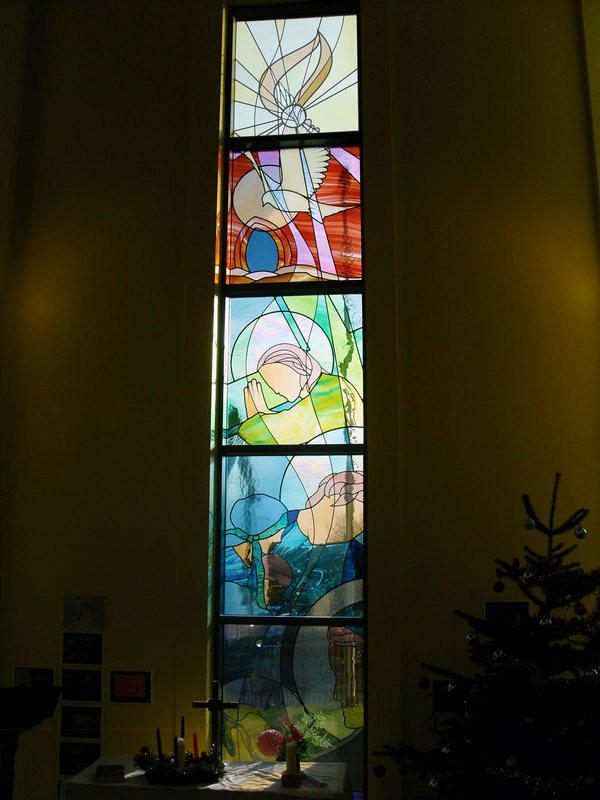 This window was commissioned following a relocation of the original space and the brief was to create a window that would encourage peaceful contemplation and calm for all users of the room. The idea is based on a nearby Peak District landscape and the idea of the circle of life. 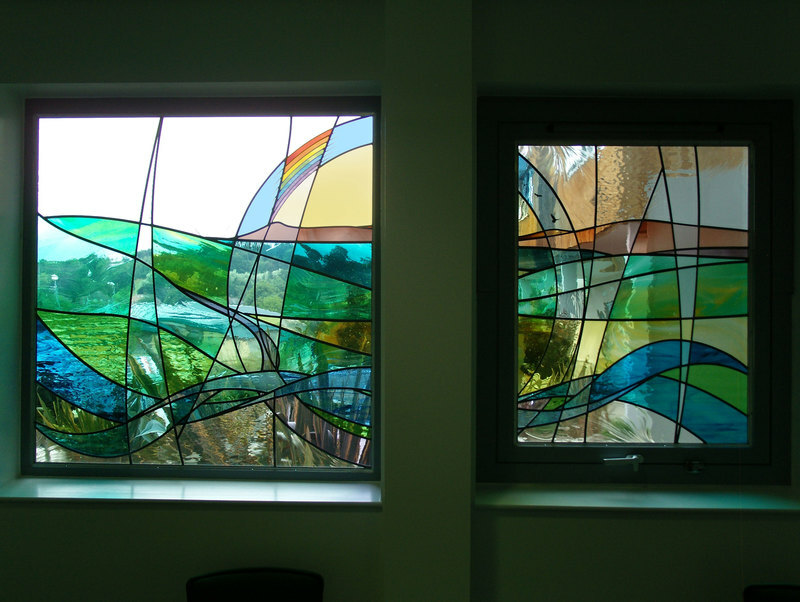 To encourage meditation the window contains images of life in all elements; salmon in the water, birds in the sky and the grasses of the local landscape. They are not immediately obvious to the eye, they are more revealed on closer examination. This window was designed in partnership with global award winning architects Aedas, and dedicated in December 2009. The design was based on the winning entry from a competition held by children at the school, and is based on the idea of an inspirational journey towards understanding and the light. 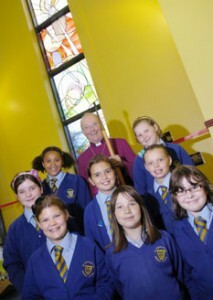 This corresponds to the journey of the children through the School and later life. 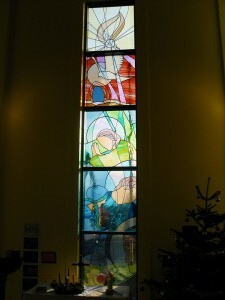 The bright circle near the top forms the heart of the window and represents the dwelling place of God, and the three smaller circles the three aspects of the Trinity. 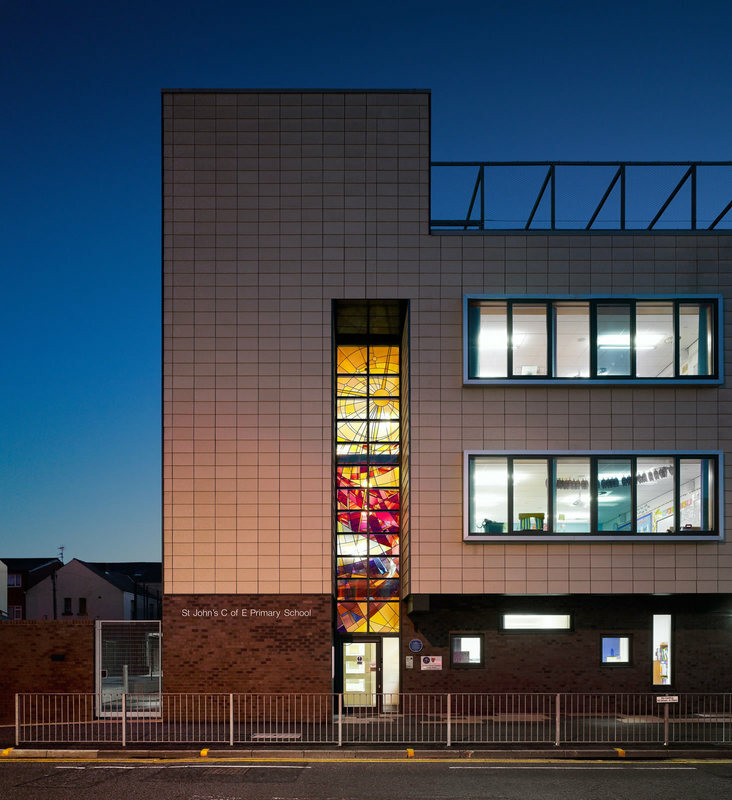 I’ve chosen colours which are warm and inviting, and should complement the neutral colours of the new building surrounding it. The bright shining star also contains the image of the Cross which I have tried to make visible without it being too bold a feature in the window.